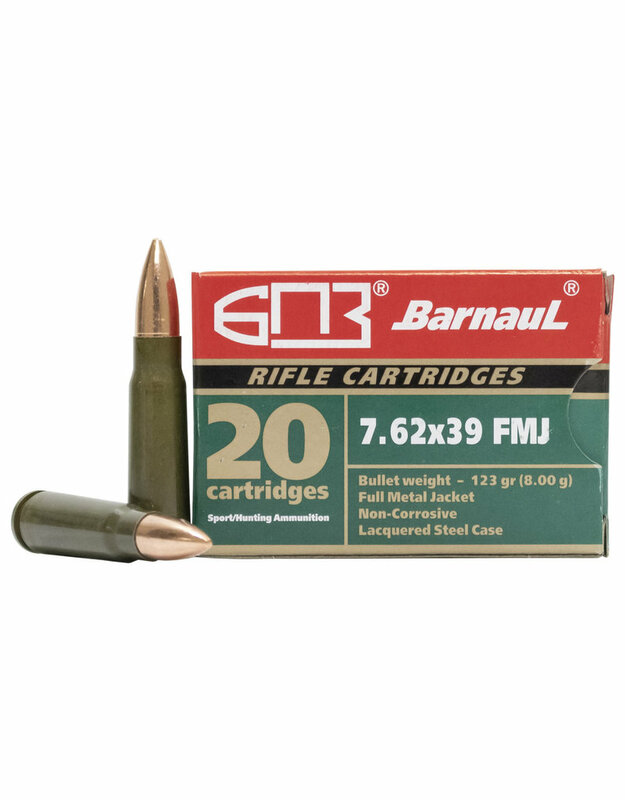 Barnaul factory 7.62x39 ammunition. 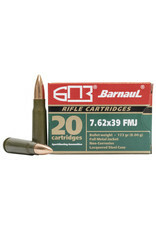 This non-corrosive ammunition has a lead core bullet with a full metal jacket and utilizes a lacquered steel casing. Barnaul provides great value for a paper punching round. Muzzle Energy: 1615 ft. lbs.